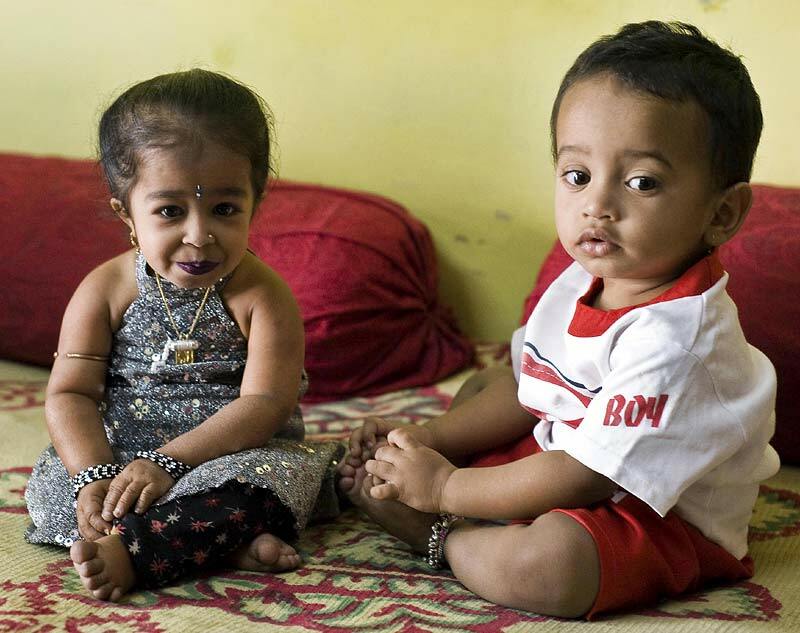 A teenager from India who stands at a tiny 1ft 11in (58cm) tall is the smallest girl in the world. 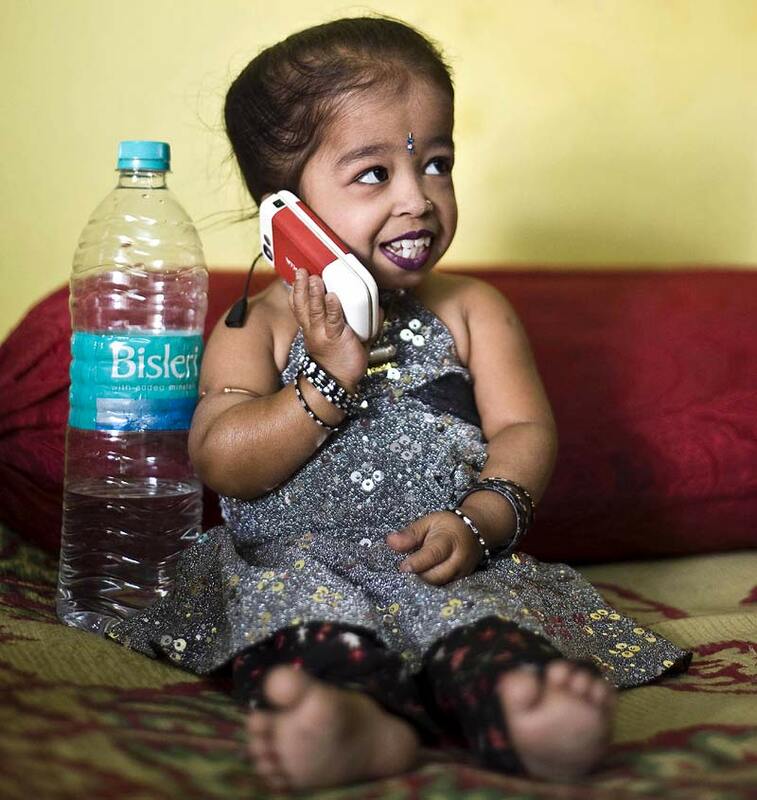 Jyoti Amge, 14, is shorter than the average two-year-old child and only weighs 11lb (5kg). She has a form of dwarfism called achondroplasia and won't grow any taller than her current height. 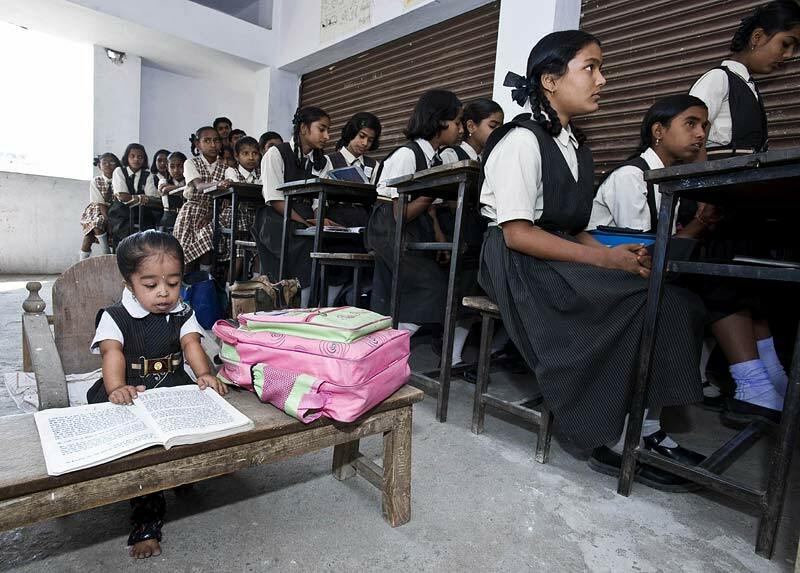 Despite this, she goes to a regular school in Nagpur, central India, where she has her own small desk and chair, and her classmates treat her like any other student. Jyoti also shares common interests with other teenagers, with a love for DVDs and fashionable dresses. She said: 'I am proud of being small. I love all the attention I get. I'm not scared of being small and I don't regret it. Jyoti is treated like a mini-celebrity in her home town, where people flock to meet her and some even treat her like a goddess. She will even be releasing an album with her favourite Indian pop star, the bhangra/rap star Mika Singh. Her mum, Ranjana Amge, 45, said: 'When Jyoti was born, she seemed quite normal. We came to know about her disorder when she was five. Jyoti is ambitious and hopes to work as a Bollywood actress one day. She said: 'I would love to work in a big city like Mumbai, act in films and travel to London and America. Her dad, Kishanji Amge, 52, said: 'I can't separate myself from her even for a single day. I love her very much.